Are you attending an Expo, conference, convention or a tradeshow soon? Great Bay Signs will be able to help you using their resources, tools, and experience to create exhibits, displays, and tradeshow booths signage that will help you become more successful! 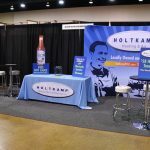 Tradeshow exhibits, as well as displays, need to be professional, exciting, and attractive, and that is what we do best of all. Using professional graphics will help educate and excite potential clients, converting potential buyers into actual customers or investors. You will be putting in a substantial amount of money going to different tradeshows, and this will include paying vendor fees, attendance fees, lodging, and all of the travel expenses that are associated with this endeavor. To be a success, you need to find a way to get a good return on your investment. 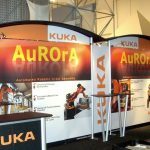 Successful tradeshow booths are vital to doing well at these events. It is essential for them to be professional and attractive, and it must also have all of the information about what you are offering, regarding your services and products. 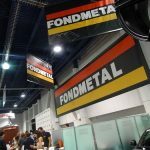 The displays and tradeshow booths that we create are going to bring more people to your display, and ultimately lead to closing the deal with potential customers. Call Great Bay Signs at (727) 777-6966 for your Free Consultation with a Trade Show Design Specialist! We have an entire team of designers that specialize in creating tradeshow exhibits, individuals that will assist you with your design, including display elements, sourcing structures, plus provide all of the designs and graphical elements. 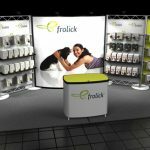 We are here to help you prepare for your very next tradeshow! One of the core marketing practices that many companies utilize is going to tradeshows. There is a considerable amount of wear and tear on all of the elements and tradeshow exhibit displays that you will bring. We can help you provide replacement elements, and also help you out with customizing what you have, allowing you to always present the latest products that you are trying to market. All of these will come with customizable components, allowing you to create unique displays every time to target your audience at the special events because they will be prominently displayed. 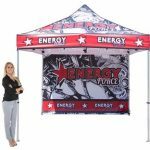 It does not matter how many of these tradeshows that you go to each year, or the amount of customization that is necessary, as we are fully prepared to help you promote your brand by creating a dazzling display. 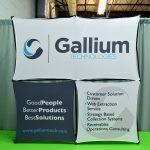 Do you need a reliable partner that for all of your tradeshow signage needs? 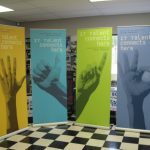 Great Bay Signs is a local and reliable partner that you will always be able to count on for impressing attendees through unique and creative graphical elements! Great Bay Signs will be able to create durable and eye-catching tradeshow displays, exhibits and booths that will help you get noticed! 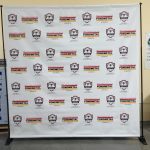 We will ensure that you are a tremendous success by creating a display that will promote your event, brand, and business.